In my 31 years as an elementary educator, I have never seen a project more powerful for sharing classroom learning, making global connections, and building a positive digital footprint for young students than having a classroom blog. 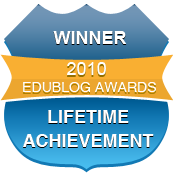 I recommend every classroom teacher consider flattening the walls via blogging. There are so many benefits! 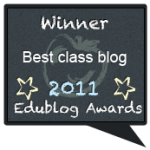 Educational blogging is also a fantastic way to teach and promote high standards for writing. Students want their writing to get published and educational blogging is a great way to leverage that interest. I have two educational blogs that I use in our learning. 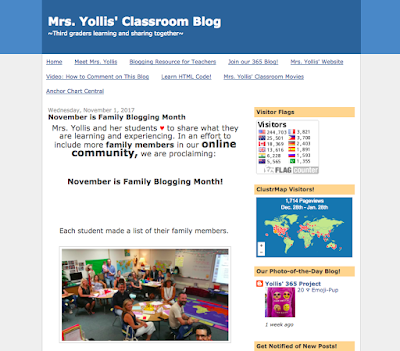 Mrs. Yollis' Classroom Blog is a public blog where classroom events and projects are published. The comment section is where the blog comes to life. Students and parents interact in this online community. 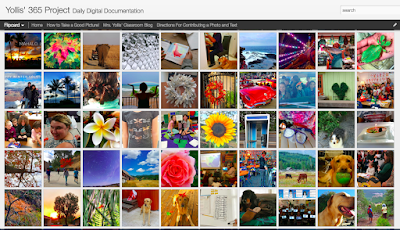 My second blog is called Yollis' 365 Blog, and it is a public photo-of-the-day blog. Students, family members, and other classes throughout the world contribute photos and text. The digital images are used to inspire creative stories, spark poetry entries, and share information about hobbies and interests. Below are TWO videos I've made to help teachers begin blogging with their students. 1. This is a video made by Mrs. Yollis' students called How to Compose a Quality Comment! It offers FIVE tips to help take comments to the next level! I use this video to teach students about content. 2. This is a video made by Mrs. Yollis' students called Tips to Ensure Quality Blogging. It outlines the rules for participation in our classroom blogs and the agreements the students make when publishing on our blogs. Do you have any questions about blogging for my students? 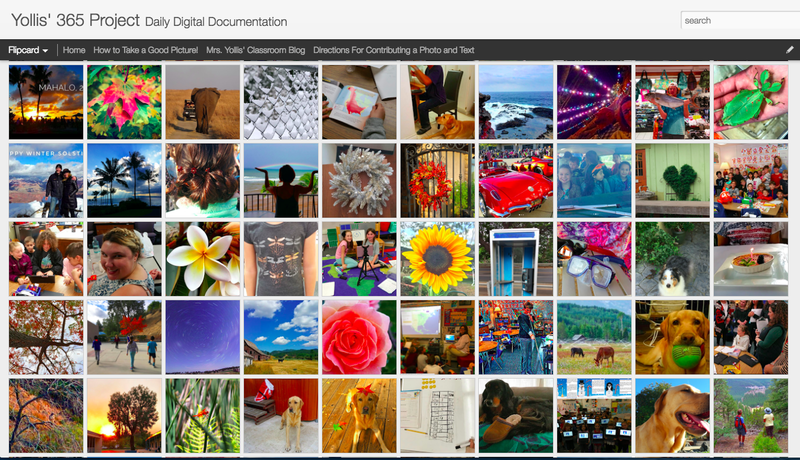 How has your writing improved through participation on the blog? Wow! I just love this resource you made to share your tips for setting up a high quality blogging programs. Mrs Yollis and I connected through blogging in 2009 when I was teaching grade two. Over the years she gave me so many tips and ideas on how to improve my blogging program. Now this is something I help other teachers with. I'm always telling other teachers what a role model Mrs Yollis has been for me. I have a question about your class typists. How do you get to become a class typist? It sounds like a great idea. Thank you again for this resource. I have already watched your new video twice as I love it so much and I'm going to share it with lots of teachers around the world! Thank you for your kind words about our blogging video! We spent a lot of time planning out the scenes and planning our script. We're glad to help others learn about the wonderful world of blogging. Can you believe we've been blogging buddies for so many years! Together, we have learned so much! I'm thrilled you are teaching an introductory class in blogging. It has so many wonderful benefits for students and teachers! I will let one of my typists answer your question when we get back to school on Monday. Students are very interested in serving as a class typists. It helps motivate students to learn to type and be blogging leaders. What a lovely comment! The three of us are all class typists (though there are more) and others are close to becoming typists. To become a class typist you must pass the PR keys on our old Alphasmarts that we showed in the video. After that, you need to prove to Mrs. Yollis that you are worthy by showing her that when you type you are acurate and you use the home row. The homerow keys are ASDF JKL;. At the beginning of the year we used to tell Mrs. Yollis when we thought we were ready and she would tell us if we where prepared to become a class typist. We were promoted based on our performance. One of the great things about being a class typist is we always get to be involved with blog comments. We also get to be in class movies! How do you teach typing to your students? Thank you for your quality comment! Congratulations on becoming class typists. I really appreciate you explaining this role to me. At the moment I don't have my own class as I have two little kids at home. I just do substitute teaching. When I have my own class again, I think I should borrow the idea of having class typists! I used to use different games online to teach my students typing. 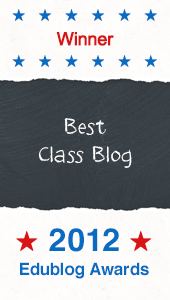 My fifth grade class is just starting a classroom blog. I'm looking forward to sharing your student videos to inspire them as they get started on writing their first blog. Thank you! Hello, we are from California and enjoy blogging very much. Micah really likes to look on the 365 blog to find interesting photos to comment on. Chloe Sky also looks and wants to include other people to blog on the 365 like her brother and her dad. Dexter likes looking at past comments to start a conversation. What state do you live in? If possible, please tell us. Greetings from Los Angeles, California. We are happy that you will be blogging with your fifth graders. In our class we love to blog. It is fun to interact with other bloggers. For example, we did a project called Two Truths and One Lie. It was done with our blogging buddies in Australia! Kody and Shane love to comment on our Yollis 365 Blog. The 365 Blog, is loaded with photos that you can comment to. Shane likes one of the 365 pictures. It is number 237 and is called A pod of Dolphins. My favorite is number 331 A beautiful rose. Kody adores number 278 Purple Prize. Ava W., Shane, and Kody. First of all, thank you for using our project as a mentor video. We worked very hard to make it magnificent. Hello Mrs. Yollis and Class! What an amazing blogging program you have built together! 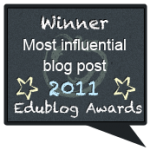 I am very excited to share your videos with my students to inspire them to write quality blog posts and comments. 1. What is the hardest part about writing a quality blog post? (In other words, if you could name one thing that many students struggled with when learning to write quality blog posts, what would that be?) Knowing this may help me to set my own students up for success by being making sure to teach them about this HARD thing! 2. If there was one thing you could change about blogging in your classroom, what would it be? Thank you so much for posting a comment on our blog and complimenting our blogging program that we have! Tanner thinks that the hardest part about blogging is choosing what kind of comment you are going to have... in other words, choosing the topic. Charlie thinks that the hardest part about blogging is making you comment long enough because you don't want your comment to be short because somebody might think it's boring. You need to make a connection or add something to the comment section. To answer your second question, we think that we could maybe change family blogging month to two times a year instead of once a year. We loved having our families get involved in a big way. I have learned so much from reading your blog and watching your videos! Thank you so much for you informative and interesting posts. I am just starting to blog with my first grade class so we have a lot to learn, but I am very enthusiastic! I understand you all write comments a lot, but I’m wondering how often you write blog posts? And when you do blog, what do you write about? Thanks again for sharing your amazing blog. Thank you for your kind words! Blogging with first graders will be interesting and fun! Mrs. Yollis writes all of the posts for this blog at the beginning of the year. However, students who won Family Blogging Month will be posting their post soon. Also, now students can type so they are invited to write a post. Many people leave posts on our 365 blog. They shoot a picture and write the text. Kids love responding with a comment. Like you saw in our movie, students work in pairs, trios, and small groups to comment. Perhaps you could get some older kids to help you with your first graders. Please let us know your blog url. We will comment! Congratulations on your informative, very helpful video on writing a quality comment. I particularly like your section on complimenting each other. That is such an important part of life, not just blogging. Well done! I am wondering - do you find it hard sometimes to be positive and specific when opening your comment with a compliment? I would like share your video with my Year 5 and 6 students, if that is okay with you. I think they will benefit from what your very useful tips. Wow!!! Congratulations on your wonderful class blog and on your multicultural group! I've watched your videos and have to say that I've learned a lot. Thank you so much for your YAPPY list, too. I am a Portuguese teacher of English as a Foreign Language, but I teach older pupils, usually teens. Is there recommendation / suggestion to engage older pupils in blogging? Or maybe you know of older groups who are interested in becoming blogging buddies? Thank you for sharing these informative videos. They were really clear and fun to watch. If you don't mind, I'd like to share them with my teacher colleagues and students to show them how to write quality blogging comments too. I also had a look at your Yollis' 365 Blog. What a great idea! The images are all so different and interesting. I wanted to open all of them. You were brave letting a skunk into your classroom! We don't have skunks in Australia but I heard they can be really stinky. Is that true? I thought your photos would be thought-provoking prompts for creative writing. Do you share your creative writing in your blogs? I noticed there were quite a few pictures of Mrs Yollis' dog Buck. I think Buck must be very well-loved. I guess she posted most of those ones. I was wondering what percentage of the pictures are posted by students? Congratulations and thanks so much for sharing your blogging story. You are amazing! Wow! You all did such a wonderful job making this video. I have had two children in Mrs. Yollis' class (including Nolan, who is one of the mentors featured in this video). So, I have done my share of blogging as a parent contributor. I love Mrs. Yollis' class blog and have learned so much from it. Blogging is wonderful! My favorite blogging tips are the ones that have to do with supervision and boundaries. I think that these are very important skills for students and parents to master by third grade. I really liked the way all of the students spoke so clearly, calmly and confidently in the video. Well done! I also really enjoyed seeing the photos of the virtual bloggers, including my very own mother-in-law, Grandma Barb. Blogging is a great way for grandparents who live far away to participate in their grandchildren's lives. Keep up the excellent work typing, commenting, sharing and learning. And keep using that wonderful punctuation and capitalization in your comments! These are skills that will help you in all the grades to come. Current students, what was your favorite part of making this video? Congratulations on such a wonderful and informative blog. I am very impressed with the videos that you have made about commenting and I would like to share them with my class. My school is new to blogging and we are getting close to the start of our journey. I would like to show the videos to my class as part of our sessions on writing quality comments. Hello Mrs. Yollis and students! My name is Mrs. Carroll and I am writing from all the way on the other side of the United States. I'm in North Carolina. I am studying to become a teacher and we are learning about technology in the classroom. 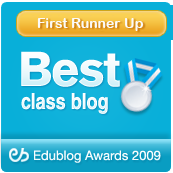 I am learning about blogging why it can be a good thing to use in elementary classrooms. I'm writing to say "Thank you!" because your blog has given me a lot of good information, and you all make it very easy to see why blogging is fun and educational. Keep sharing with the world. We appreciate you!